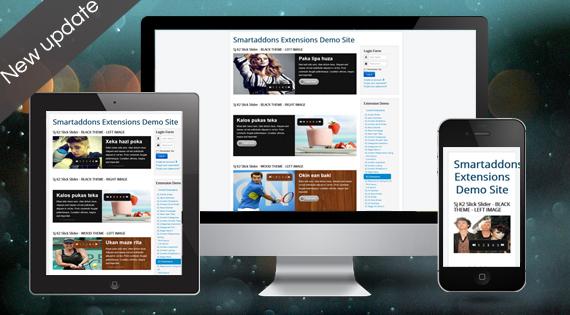 SJ K2 Slick Slider is a powerful module, which is used for showing all articles with title, description, image... with many nice effects in your website. Today, we're happy to announce that the module have been updated version 3.0.0. Besides responding on all devices, your module would improve some functions to work better as well as be fixed some issues. The new version inherits a lot of functions of the last version. Besides, we improved this module to compatible with new versions of K2 (2.6.x). One of the remarkable improvement things that is Source Options and Item Options. 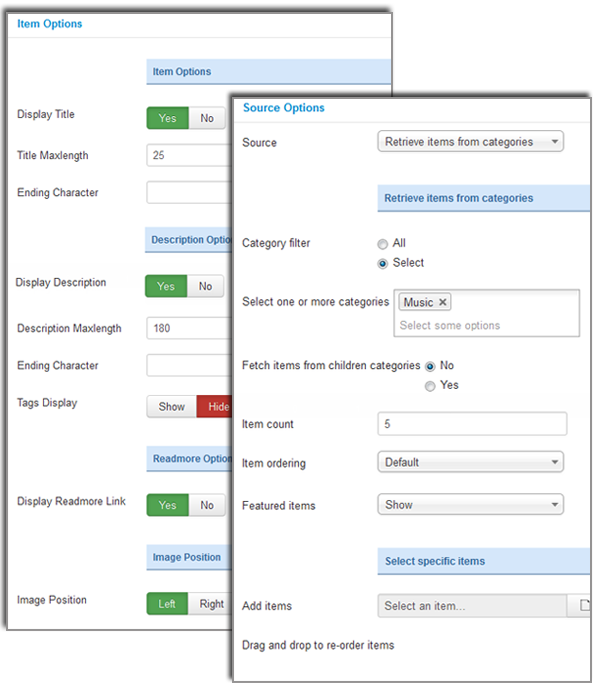 Added more image options in the Admin Panel namely, allow you to choose source to get image, select a style for resizing image. Along with these features above, SJ K2 Slick Slider added a note to language file to help user know that install K2 Component before using and configuring this module.